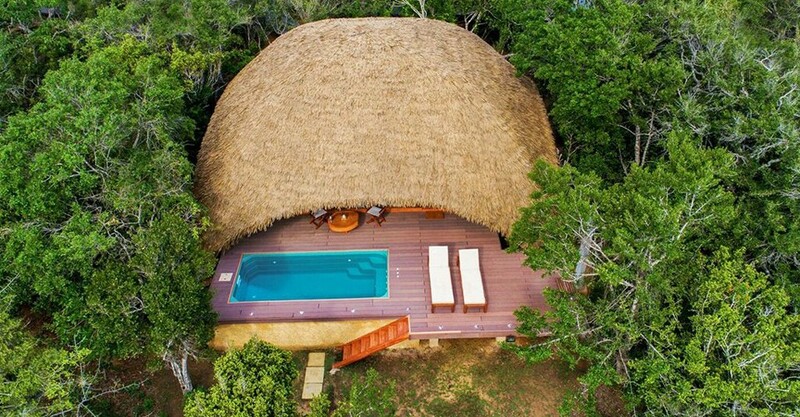 Located on the outskirts of Yala National Park, this all inclusive luxury cabin style property will truly take your breath away. While the landward side of the Chena Huts resort is the arid tropical jungle, on the other side you can see the sand dune sculpted beach. Although the resort is a massive 7 acre property, it only accommodates 14 guest cabins – guaranteeing maximum privacy to guests. The cabins are 1130 square feet each – including a climate controlled living space of 781 square feet. 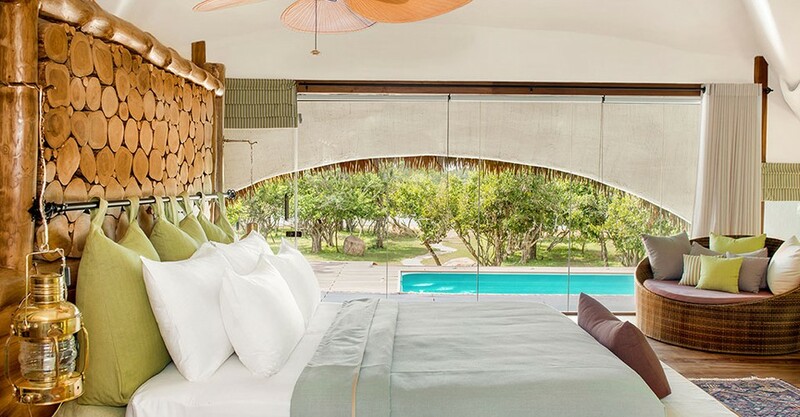 Each of the cabins are air-conditioned and also have a bedroom, bathroom, 5m plunge pool, and a shaded outdoor deck. 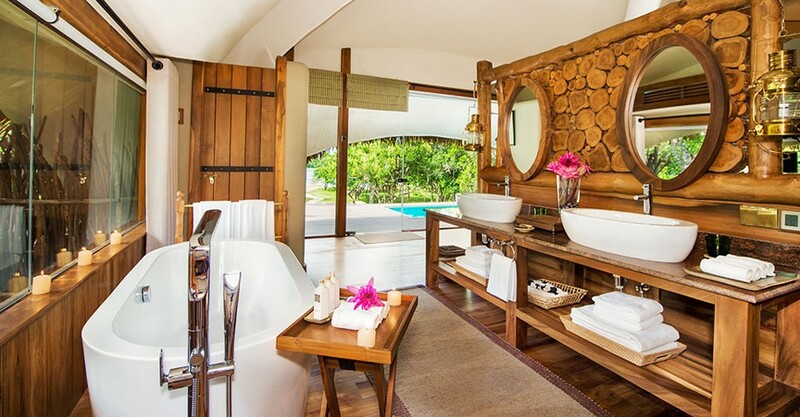 Modern amenities within each cabin include a 42” TV, tea & coffee making facilities, a mini bar, a free standing bathtub, and twin vanity consoles. The exterior vernacular architecture design is to harmonize with the jungle environment. The log furniture interiors are in par with the ‘safari’ theme. 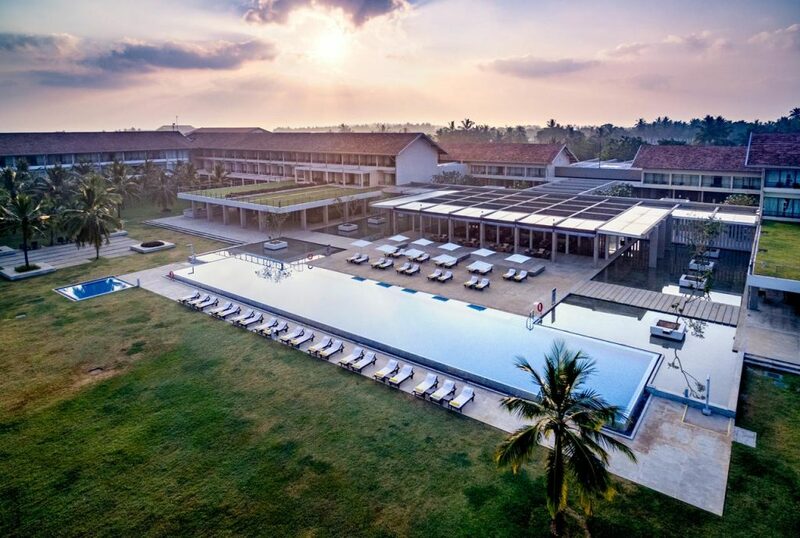 Rustic motifs and the African feel amidst the ultra-luxury surroundings within the property provides an ambience that truly stands out amongst all other hotels in Yala. 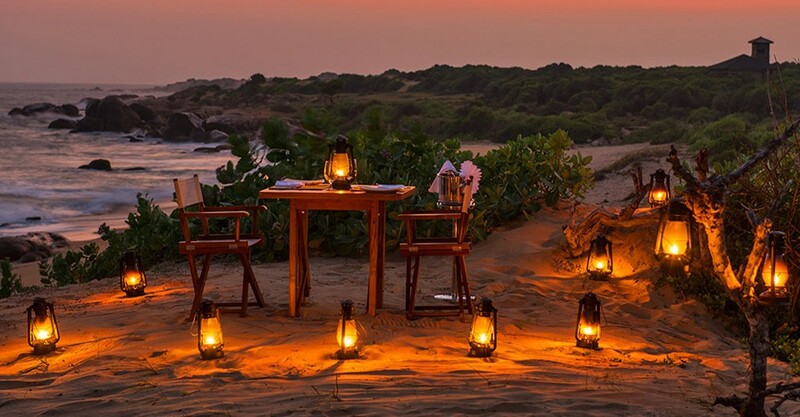 The nautical themed restaurant has a lovely sea facing deck which is candle-lit during dinner and an air conditioned interior for those who cannot bare the heat. Breakfast is a-la-carte menu with healthy options including Sri Lankan, Western and Continental cuisines. For lunch and dinner, you are offered a couple of set menus that include starters, main meal and desserts. Sri Lankan rice and curry is also an option for your meals if the craving arises. The sunken bar offers the finest of drinks that you can enjoy while absorbing the ocean breeze and losing yourself in the tremendous views out at sea. 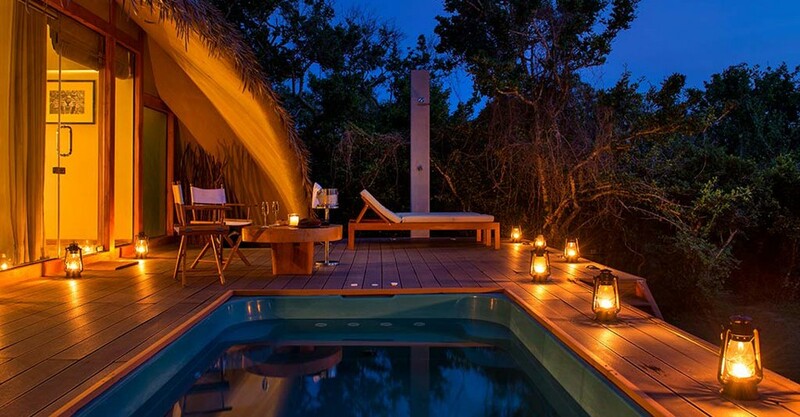 In addition to the private pools in each hut, the hotel also has a stunning jungle pool and spa.